After a long, dry summer here in Central PA, we finally got the rain that we have needed so badly. Unfortunately for us, it all came at once. Tropical Storm Nicole dumped buckets of water while passing over our part of the state last week, and the result was fast rising streams and rivers with mild to moderate flooding in some areas. Our creeks had water in them once again, but this time it was almost too much! Still, I've found throughout the years that some of my best fishing generally occurs when our local streams and rivers are recovering from high/muddy water events. You have to pay attention, know how quickly your local waters recover from storms, and play your cards right... But if all of your stars align and you are in the right place at the right time, falling waters can make for some great fishing. If work had not kept me tied to my desk for the most part this week, I would have been out there as much as possible. Still, I did get out for a quick trip on two occasions. 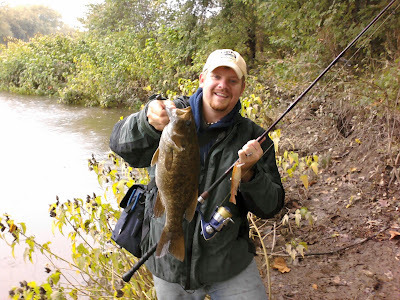 One trip in-particular rewarded me with a very nice smallmouth, that ate a 6.5 inch swimbait. I do love fishing in the colder months! Until next entry, keep your eye on our streams and rivers... Watch the waters rise and fall, and fish when you think it's right. 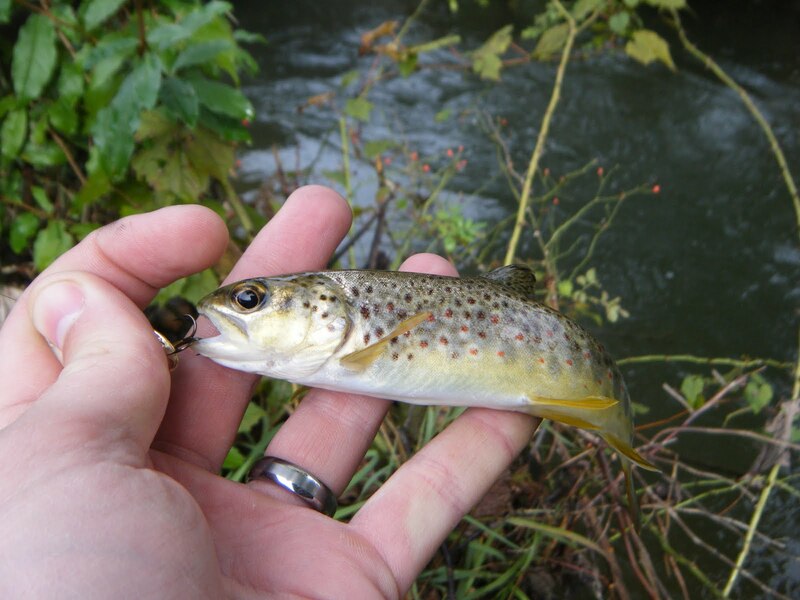 Eventually you will pick up on certain patterns that occur at certain levels on the waters that you fish. Good luck out there! And again, thanks for reading. "Many go fishing all their lives without knowing that it is not fish they are after."